Whether you need a local moving company to move around the house or an international move around the world, Delaware Moving & Storage can provide the assistance you need. We offer a variety of specialized storage and moving services performed by our professional staff with your complete satisfaction in mind. Click below to explore what we can offer. Our team of trained professionals can handle any type of move and continue to exceed customer expectations for their home moving and business moving needs. Trust Delaware Moving & Storage to provide High Quality Moving Services at competitive prices. 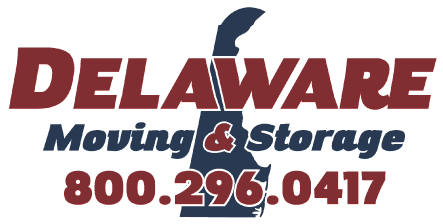 If you are moving to Delaware and need relocation services, call us today for a free estimate at (302) 322-0311 / Out of state: (800) 296-0417 or fill out our online form for a Free Estimate!